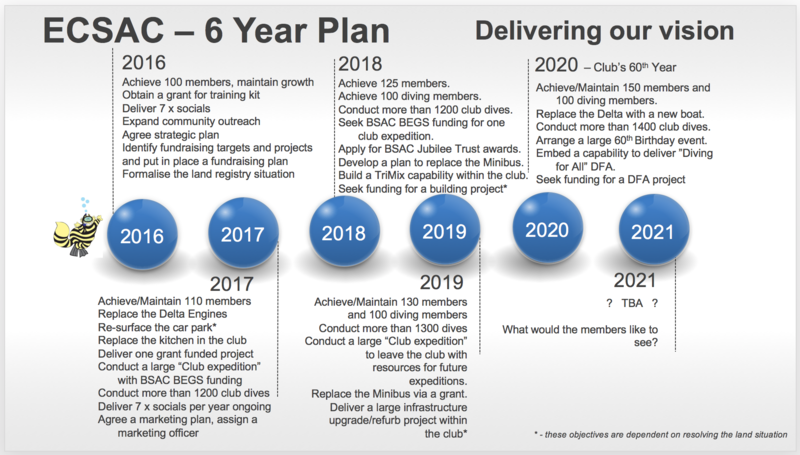 Back in 2015 the club sat down and worked out a strategic plan that we would follow in the coming years. Its primary aims were to address a decline in membership and to re-invigorate the club and move it forward. 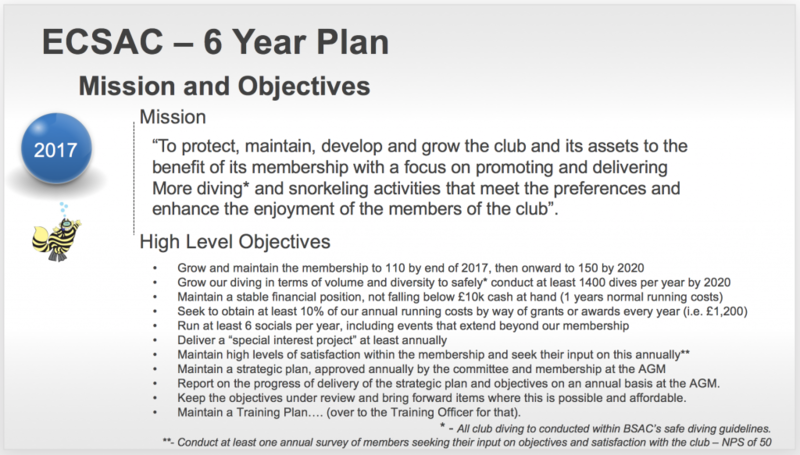 Part of this was to work out a plan to lift the club, generate new members and deliver a number of interesting projects. 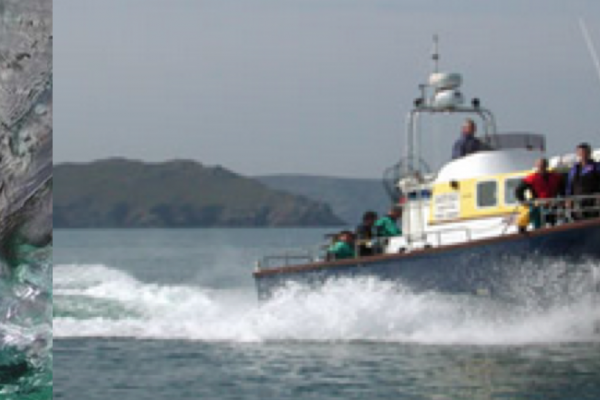 A byproduct of this was that we were able to apply for the Heinke Trophy, BSAC’s Premier Branch Award, on the back of the activities we undertook in 2015 we won the Trophy in 2016. 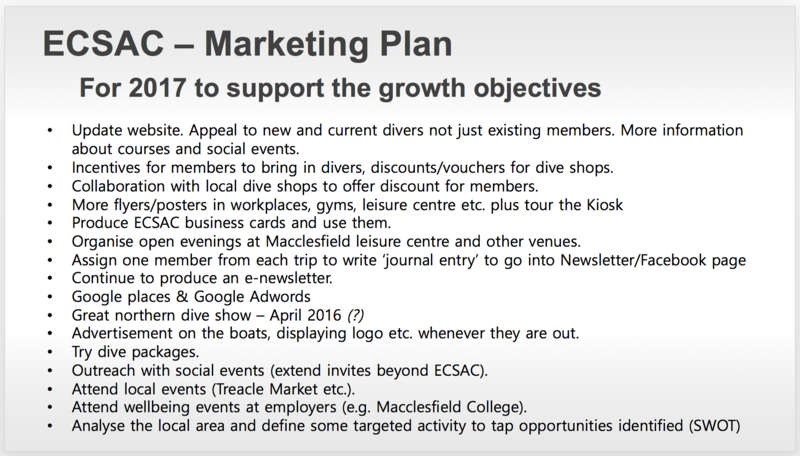 The plan gets reviewed every year and progress against it is reported to the members at the AGM. You can find an outline of our strategic plan below. You can also view our Heinke Trophy Entry here which may give you some ideas to help build your club.